For a while now, it's seemed like Hilary Duff and Jessica Simpson have been competing to see which of them could be pregnant the longest time. 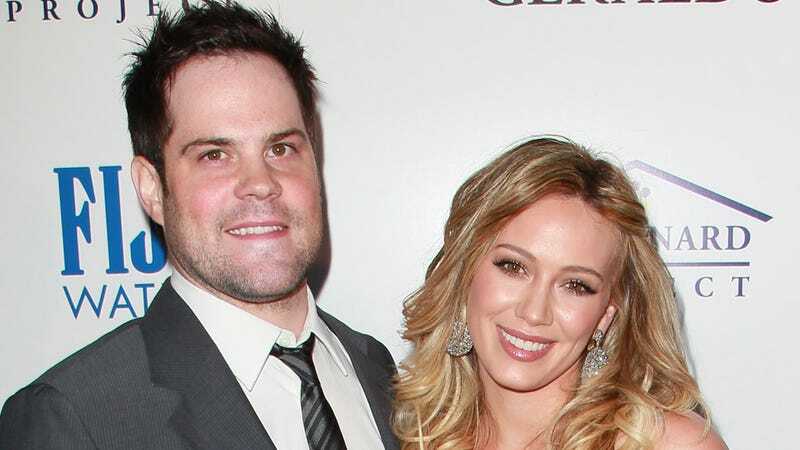 By our estimate, they've both been with child since the Bush Administration, but now Hilary Duff has given in and brought her healthy baby boy out into the open. She and her husband Mike Comrie are now the proud parents of Luca Cruz Comrie, who was born on Tuesday. Naturally, Duff tweeted out the news today. (Does anyone remember how we even found out that people's babies had been born before Facebook and Twitter? Did we send telegrams?) She said "We are overjoyed and feel like the luckiest parents in the world." Aww. Now an entire nation trains it's eyes on Jessica Simpson's baby bump, practically willing her uterus to start contracting.